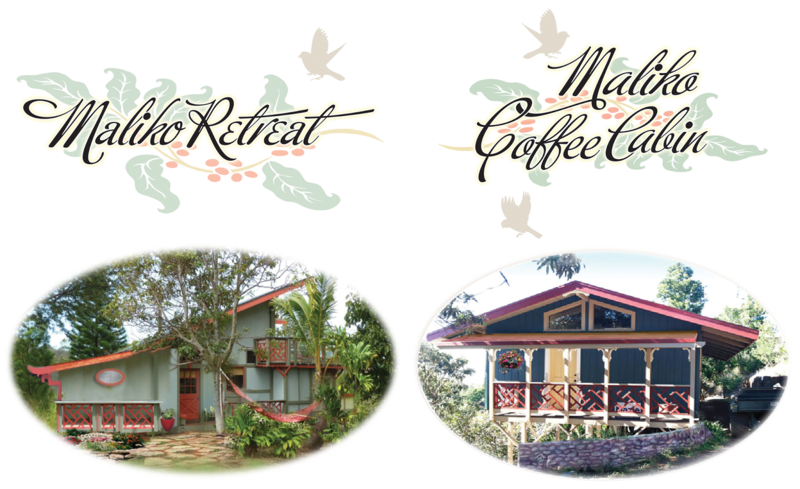 Both cottages are private, stand-alone cottages on the 20 acre Maliko Estate Coffee Farm, located near Makawao Town. Maliko Retreat is a 2 bedroom ocean view cottage. Maliko Coffee Cabin is a 1 bedroom open-concept, ocean view cottage. What can we say about Sydney and her property that hasn't already been said? The location was perfect - close to all of what Maui has to offer, yet just far enough away from the hustle and bustle of tourists. The house offers views that can't be described (seriously, one entire wall in the loft is made of windows - yet it offers complete privacy). The landscape is breathtaking and provides an abundance of fruit that you may enjoy during your stay. Sydney, the host, is one of the nicest, most passionate people you could ever hope to meet! She was very quick to reply to our booking request, and communication was fantastic both before and after our arrival. She was happy to answer any questions we had about the land or Maui in general, and even provided us with information on activities that were taking place around the area during our stay! The house was well equipped (even has a guitar!! ), and comfortable enough that we spent a whole day just hanging out in the house. The coffee grown on the land is incredible (it's the only coffee that I have ever enjoyed black). It is so good that we have set aside our Keurig, bought a coffee grinder and traditional coffee maker, just so we can brew it here at home. On the coldest of days (-40 last week) it's a nice little reminder of our amazing trip to Maui, and our wonderful stay at Maliko Retreat! This place is incredible. Extremely private, on 20 acres with all kinds of wild plants, fruits, waterfalls, and (small) wildlife. Lots of sun and mist followed by rainbows -- including some nighttime ones lit by the full moon if you're lucky. Near by "hippie town" Paia with a great grocery store (Mana) and cute shops and the North Shore, good balance of remoteness with convenience. Also check out the Sacred Garden just a few minutes down the road, a really pretty place to spend some time and walk the Labyrinth. Highly recommended if you're looking to get some peace, quiet, and nature. Here's a video of Maliko Falls starting up as if someone turned on the faucet. Just an accumulation of mountain rainfall, coupled with ground saturation. A nice sunny day and instant waterfall! This waterfall is visible from Maliko Retreat as well as Maliko Coffee Cabin.